The HOW Conference. I’m told that if you need to be re-energized in the field of design that it’s the best thing to do. I’m going this year, Steve Gordon is on some panel, and we spoke on the last show about how Armin Vit moved to Austin just to be closer to the action. Is it that great? 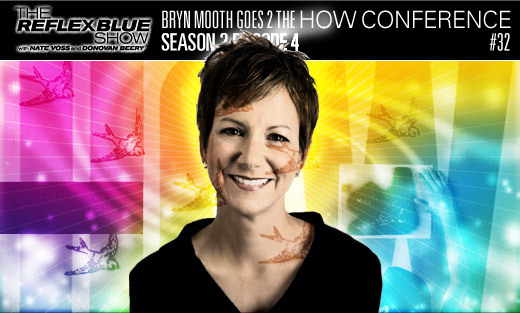 We decided to investigate further by having Bryn Mooth, editor of HOW Magazine on the show. And since we’re speaking HOW, we had Steve Gordon stop by to join in. And be sure to hang around until the end, where Mig Reyes once again drops of this episode’s student tip. Download The Reflex Blue Show with Nate Voss and Donovan Beery, Season 2 Episode 4 (25 meg) or click here to subscribe to The Reflex Blue Show from the iTunes Music Store.